The Advisory Council is made up of societal leaders who are generally undergraduate and graduate alumni of the department and thus invested in its success. Their role is to provide key external input to the department chair to help accomplish the department’s goals. 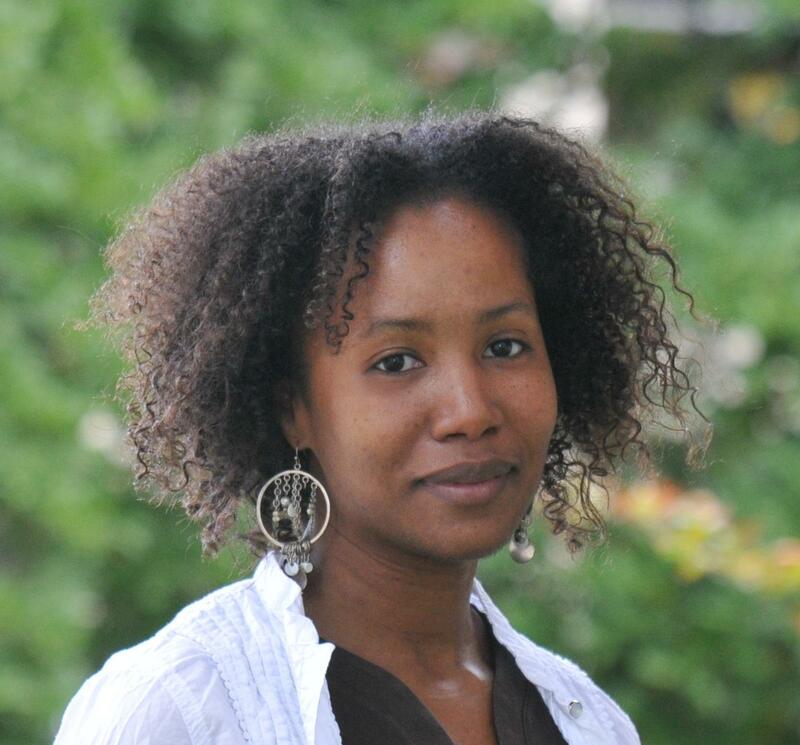 Audrey K (Ellerbee) Bowden is an Associate Professor of Biomedical Engineering at Vanderbilt University. She received her BSE in EE from Princeton University, her PhD in BME from Duke University and completed her postdoctoral training in Chemistry and Chemical Biology at Harvard University. During her career, Dr. Bowden served as an International Fellow at Ngee Ann Polytechnic in Singapore and as a Legislative Assistant in the United States Senate through the AAAS Science and Technology Policy Fellows Program sponsored by the OSA and SPIE. She is a member of the OSA, a Senior Member of SPIE and is the recipient of numerous awards, including the Air Force Young Investigator Award, the NSF Career Award, the Hellman Faculty Scholars Award, and the Phi Beta Kappa Teaching Award. She is a former Associate Editor of IEEE Photonics Journal and a member of numerous professional committees. Her research interests include biomedical optics, microfluidics, and point of care diagnostics. Dr. Dries is currently the President and CEO of United Silicon Carbide which offers products that will enable affordable power efficiency. He graduated from Duke University with a B.S. in Electrical Engineering in 1994 and then proceeded to earn his M.A. and Ph.D. degrees from Princeton in the field of InGaAsP based optoelectronic devices. Upon graduation, he joined Sensors Unlimited in Princeton NJ, leading the company's development of optical receivers for fiber based transmission systems. Following the sale of the business to Finisar Corporation in 2000, Dr. Dries and other members of the Sensors management team took the business private again in 2002, and re-built the company as an imaging and spectroscopy business. In 2005, Goodrich Corporation acquired Sensors Unlimited where Dr. Dries was Vice President of Research and Development. He left Goodrich Corporation in 2007 and co-founded DOLCE Technologies to pursue other early stage high technology ventures. Dr. Dries also serves on the Dean of the Graduate School's Leadership Council, is an active volunteer for Princeton University Annual Giving, and serves on Duke University's Pratt School Board of Visitors. John J. Koger, was founder, President and CEO of Oasis Semiconductor Incorporated, a leader in the design and sales of system controller chips for all-in-one printer products started in 1995. Oasis Semiconductor helped create the low-cost, all-in-one laser and inkjet printer market segment by providing chips and software to customers like Kodak, Sharp, Lexmark, Dell and Canon. Oasis was sold in late 2005. Prior to Oasis, John spent 10 years at Digital Equipment Corporation Semiconductor Engineering Group in various roles including Multimedia Chips Marketing Manager, 3D Graphics Chip Architect, Project Leader and Principal Engineer. John received his B.S.E. from Princeton in 1985 and his M.S.E. from Columbia University in 1986. Vidya Krishnan received her Bachelor's degree in Electrical Engineering from Princeton University in 1995, and her Master's degree in Electrical Engineering from Stanford University in 1996. She worked for AT&T's Network Planning group in Middletown, NJ from 1993-1998, and became a foundational member of Nortel's Wireless Engineering organization in 1998 in Richardson, TX. She led Engineering and Operations teams for North Amercian rollout of GSM, CDMA, UMTS, and LTE through 2012. Vidya became a director of Engineering and Operations at Ericsson North America in Plano, TX, when it acquired Nortel in 2010. She created an engagement culture and technology strategy program that was delivered throughout Ericsson's Operations organization. In 2013, Vidya became the Head of Learning Services for Ericsson North America, responsible for the evolution, growth, and profitability of Ericsson's customer technology education and competence consulting business. She is a graduate of Ericsson's Global Perspectives International Leadership Program, and a member of Ericsson's Diversity & Inclusion Council. Vidya has published a paper on Telcom Development in Underserved Areas, and was also a contributing author to Princeton University's Major Choices publication. Since 2006, she has volunteered as a coach for Destination Imagination, a global non-profit creative learning organization. Conor is co-founder, President and COO of Kateeva, a high-tech, silicon valley start-up developing manufacturing equipment for the flat panel display industry. Before Kateeva he was a post-doctoral research scientist at MIT which his area of specialization was organic electronics. He is the author of numerous publications and holds patents in fields spanning physics, chemistry, electrical engineering, materials science, and software engineering. In 2010, he was honored as one of the “Technology Review 35”, the group of top young innovators in technology named annually by Technology Review magazine. Conor earned a Bachelor’s degree from Princeton and a Ph.D. from MIT. Both degrees are in electrical engineering. Kamran Rafieyan received his B.S.E. from Princeton University in 1989 and an M.S. from the University of California at Berkeley in 1990. Prior to Lava Trading, a technology firm providing equity trading solutions to the financial community, Mr. Rafieyan worked in the Applied Research group at Bellcore. He has also held technology posts and completed consulting projects with a number of leading financial firms, including Dow Jones/Telerate, Reuters, Nomura Securities, and institutional broker GFI Group. Founder and Managing Partner, GenNx360 Capital Partners, L.P.
Jim is a founder and managing partner at GenNx360 Capital Partners, L.P., a $600 million buyout, private equity fund that invests in industrial and services B2B businesses with proven and sustainable business models. The fund has made a number of acquisitions in the Specialty Chemical, Precision Machining and Asset Light Logistics spaces since 2006. Shepard received his B.S. in electrical engineering and computer science from Princeton University and then went on to the University of Pennsylvania to earn an M.S. in systems engineering. Steve Teig has been the chief technology officer of Tessera Technologies, Inc. since June 2015. A technologist and entrepreneur, he has been CTO of three EDA software companies, two biotech companies, and a semiconductor company; of these, two went public during his tenure, two were acquired, and one is a Fortune 500 company. Before joining Tessera, Steve founded and was CTO of Tabula, Inc. Prior to Tabula, he was co-CTO at Cadence Design Systems, Inc., which he joined through its acquisition of Simplex Solutions, Inc., where he was also CTO. Before Simplex, he was CTO of CombiChem, where his Discovery Engine™ technology led to pharmaceutical leads in 11 different therapeutic areas. Prior to that, he founded and was CTO at BioCAD Corp. Steve received a World Technology Award and an Edison Award in 2011, and he is an inventor on 293 US patents across multiple disciplines. He holds a BSE in EECS from Princeton University. Karthik Vasanth received the Bachelor of Technology degree in Electronics and Communication Engineering from the Indian Institute of Technology Madras (Chennai) in 1991. He received his Ph.D degree in Electrical Engineering from Princeton University in 1995. He joined the Silicon Technology Development group at Texas Instruments in 1995 and worked on compact process and device simulation models. From 2003-2007, he was the RF Design manager for the High Performance Wireless Infrastructure Products group at Texas Instruments. He was also elected as a Distinguished Member of the Technical Staff at Texas Instruments in 2005. In 2007 he became the product line manager of the Medical Business Unit at Texas Instruments. In September of 2010 he became the General Manager for the Medical and High-reliability Business Unit at Texas Instruments. In 2016, he was elected as an officer at TI as a Vice President. He has published over 30 papers and authored/co-authored several patents.